Whataburger N. Bryant Renovations. Sam Fowler photo. Whataburger Restaurant N. Bryant. Matt Trammell photo. 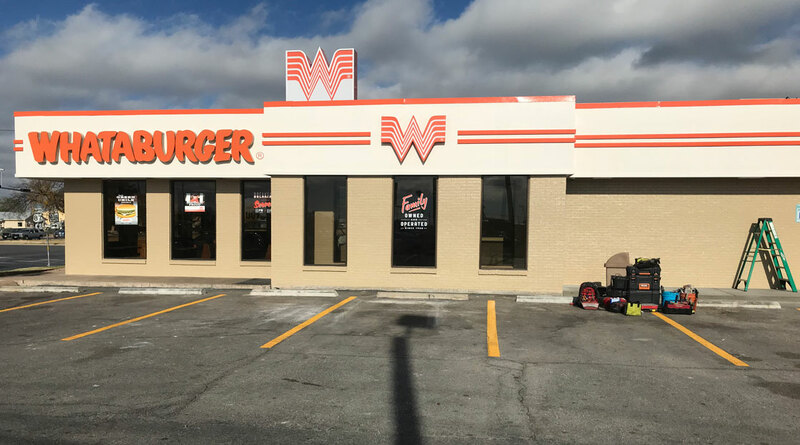 SAN ANGELO, TX-- The Whataburger restaurant at 1830 N Bryant will be reopening Friday evening after renovations according to area manager Joey Boser. The restaurant closed Sunday morning at around three a.m. and plans to reopen sometime this evening. Work crews repainted the inside and outside of the building and restriped the parking lot. Renovations included new lights and ceiling tiles. They restrooms were remodeled and the restaurant has new fryers in the kitchen. Whataburger is open 24 hours a day and there are three locations in San Angelo.